Certain types of macular degeneration may be treated with eye vitamins. 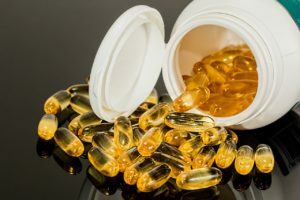 The AREDS study (Age-Related Eye Disease Study) showed that a combination of certain vitamins and minerals in certain dosages can help slow down the progression of macular degeneration, potentially preventing vision loss. These vitamins are recommended to certain patients with macular degeneration after a careful evaluation by their retina specialist.